Getting to Novalja with the car the fastest way is to take the ferry to the island Pag. Another opportunity to get on the island is the roundabout way across the bridge in the south. The roundabout way will take you 2 hours more than taking the direct way with the ferry. The tour with the ferry lasts only about 15 minutes. After anchoring on the island Pag the further drive to Novalja lasts also just about 15 minutes. Therefore the ferry is the most easiest and fastest way to get to Zrce Beach. Here you find an overview about the timetable from the ferry to the islang Pag and the way back in the time period from june/september and the high season july and august. 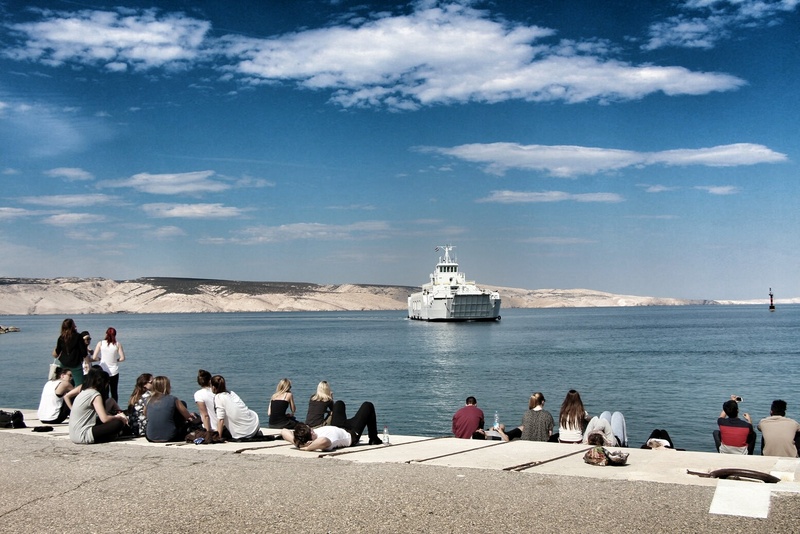 At the little harbour Prizna the ferry starts the tour to the island Pag. Die duration lasts about 15 minutes. From the harbour Zigljen on the island the further drive to Novalja only lasts additional 15 minutes. In the summer holidays there could be long waiting periods. The travel busses can go directly on the ferry and don’t need to wait. The timetable is a bit different in the main and the side season. Here you find an overview of all ferrys to the island in the time period june/september and the main season from july to august. 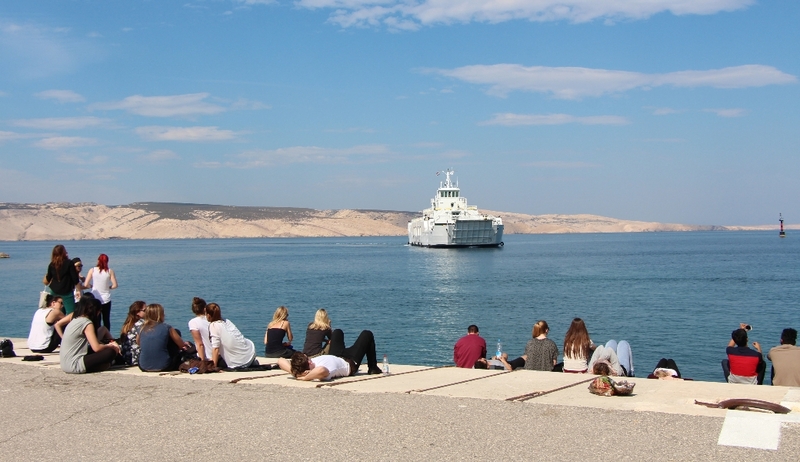 On your way back from Novalja, you need to take the ferry from Zigljen. The duration is also about 15 minutes. From the harbour Prizna you can continue your way back home. Here you find on overview of all ferrys on the way back from the island in the side season from june/september and the main season from july to august. The prices could be a bit different during the season. It depends on the period you’re travelling. The side season from june/september is mostly a bit cheaper than the high season from july to august. An entire listing of all prices incl. busses/truck you find here.